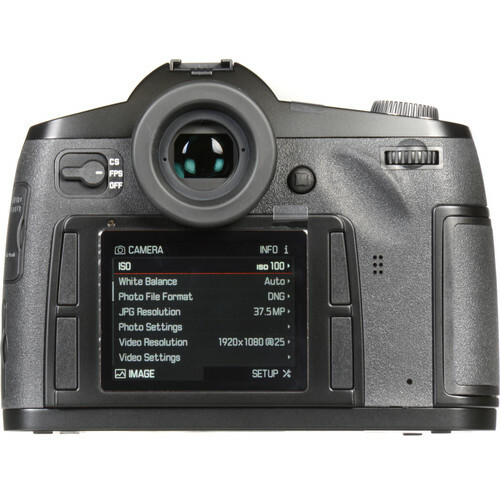 Leica cameras are most easily recognized for their rangefinder cameras. 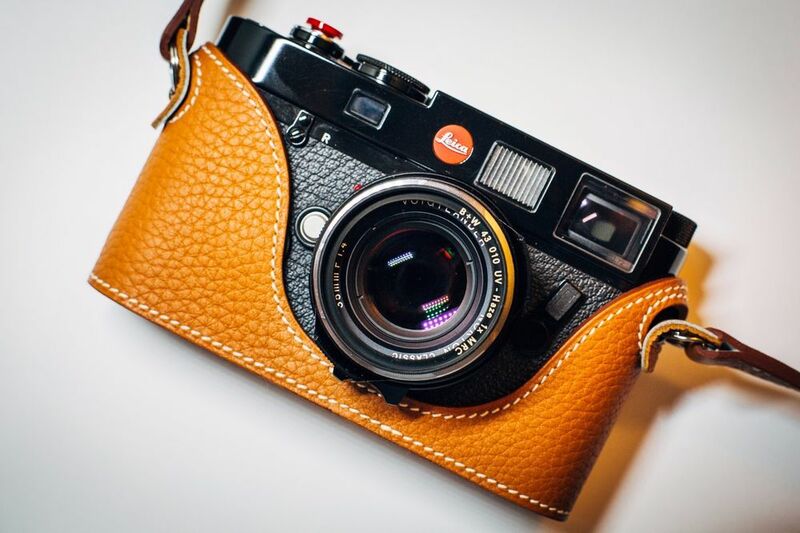 Leica M10 camera’s design, for example, can be traced back to the earliest Leica rangefinder cameras with their iconic streamlined, minimalistic characteristics. But, Leica camera also produces cameras for professional use, namely Leica SL and Leica S series. For obvious reasons, these cameras are designed to deliver images beyond the needs of amateur photographers. 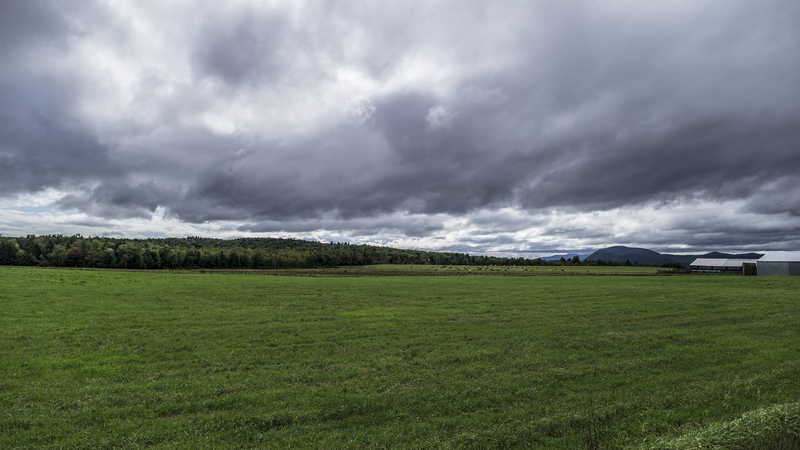 Recently, I was asked about how to capture more captivating and compelling images of landscapes. While explaining the importance of sensor size especially of medium format camera’s sensor size advantage, I made frequent references to the optical performance of Leica S line of lenses. During another discussion in my Hong Kong photography workshop, the same topic of conversation was raised. It occurred to me that while most people are familiar with full frame cameras and the lenses associated with these cameras, there is a gap of understanding the effects of medium format camera sensors and the importance of high-quality optics to resolve for these larger sensors. It is for this reason, I wanted to write a review on one of the most popular Leica wide angle lenses from the Leica S line. This article will be on Leica S (Typ 007) Medium Format DSLR Camera for which I will be using a Leica Elmarit-S 30mm f/2.8 ASPH CS Lens. It is my aim to show how medium format cameras like the Leica S Camera can make a significant impact on the quality of the images. I will also be sharing some photographs that I have captured with the Leica Elmarit-S 30mm f/2.8 ASPH CS Lens to explain the differences lens and sensor sizes have on the character of the photograph. 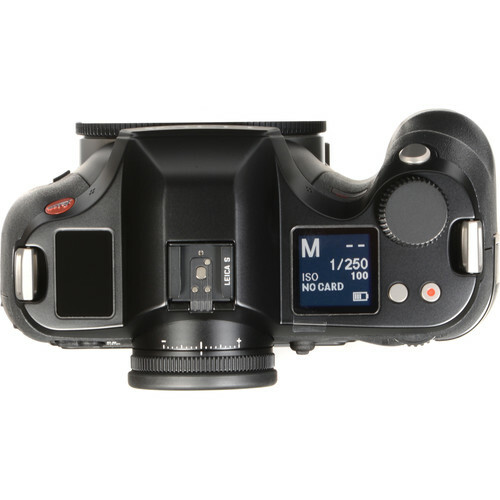 Hopefully, this article and review will clarify why professionals gravitate to medium format cameras to capture stunning images. Firstly, let’s define what a full frame camera is. 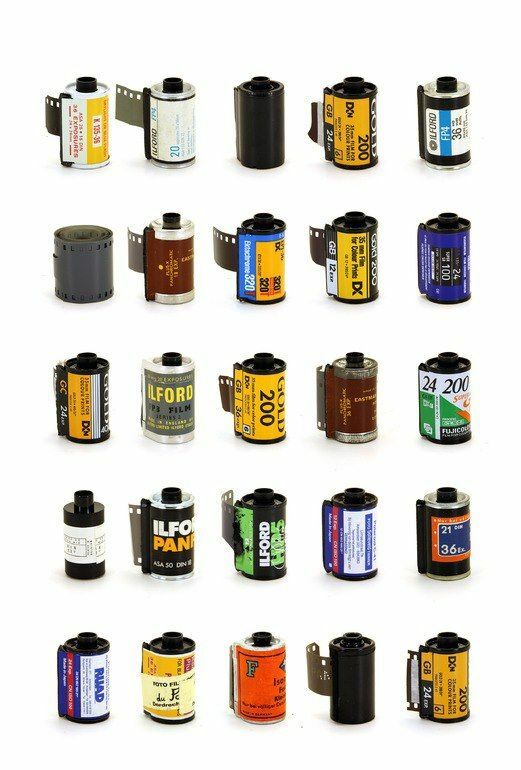 Before the advent of digital cameras, the standard film size was 35mm for most cameras. This size made a mark in photography as the film size that would be chosen by professionals and amateurs alike for the longest period in photography history. The reason for this was simple, a roll of film with 35 mm size allowed the photographer to be able to carry additional rolls of films with them when traveling or on assignments. Long before digital cameras came about, I used to use rolls of film for my professional work because they were affordable, practical and delivered superb results due to the high dynamic range of the film medium. Medium format camera and large format films were expensive and difficult to use which made 35mm more than practical but essentially the choice of medium for anyone working in the field including journalists, war photographers and more. Hence, some of the most iconic photographs of the last century were shot on film. The impact of film as a medium continues to this very day where photography software programs are attempting to mimic characteristics of various films from different manufacturers. 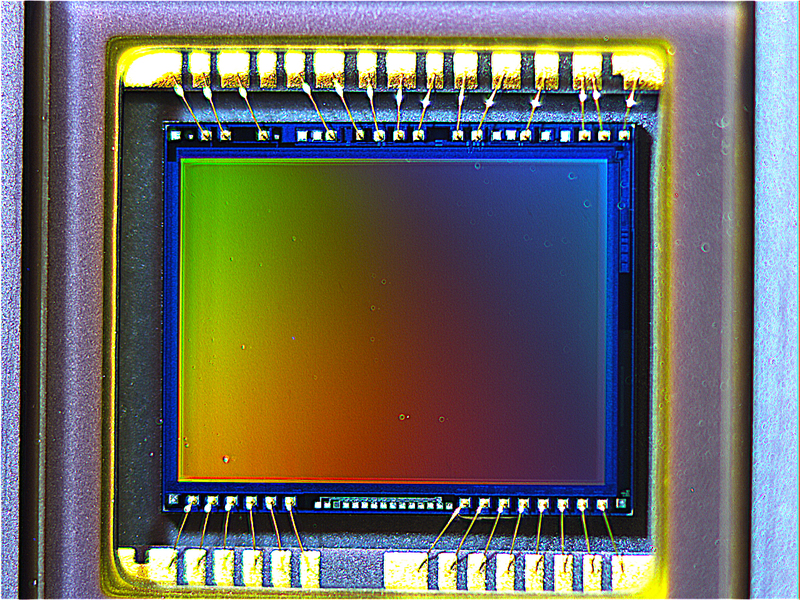 Once digital cameras were introduced to the consumer market sensor production was the primary cost issue associated with the cost of the cameras. Technology advanced over the years, and camera companies knew that producing a sensor that was of similar size to a 35mm film would ensure those who were using film to make the transition. Hence, full frame sensor size was born resulting at 36mm by 24mm frame size, which was a close proximation to the original 35mm film size. As a professional, medium size cameras with large sensors were prohibitively expensive, and their use was somewhat limited. At that time, most cameras were not designed for outdoor use. Leica’s introduction of S series was perhaps one of the most significant breakthroughs in photography as the camera was compact enough to be able to be used as DSLR type camera but offered all the benefits of a medium format. Also, the build quality gave photographers ability to be able to take their cameras out of their studios without being too concerned with weather conditions. It is for these reasons and more I choose to use Leica S as the medium format camera for my professional work. 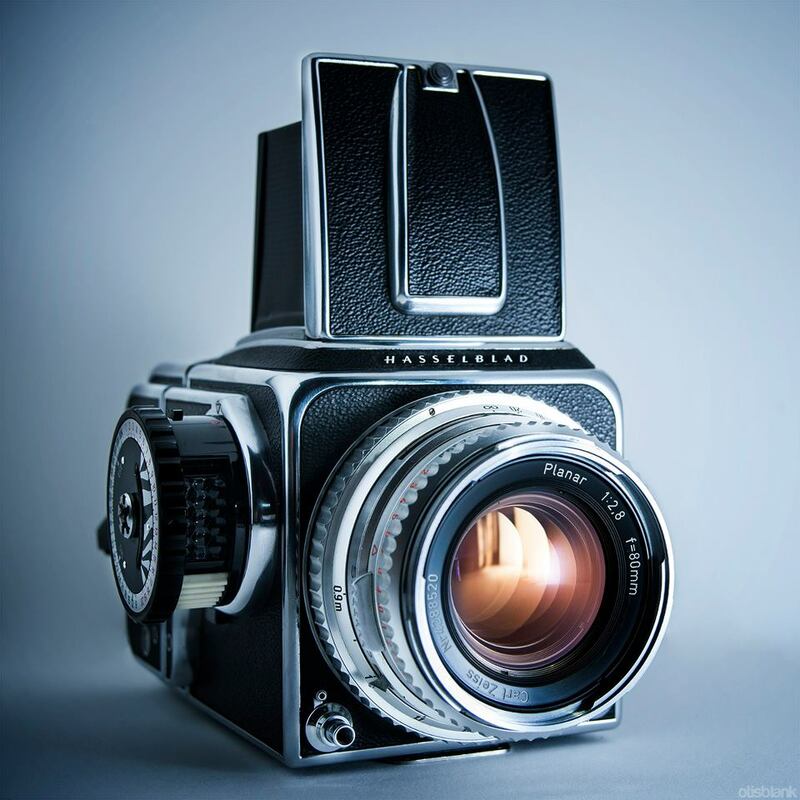 On occasion, I like to take my medium format camera to capture photographs, but today, digital medium format cameras are the choice for most professional photographers who photograph landscapes, portraits and do high-end commercial work. Recently, I had to take a road trip for a professional assignment. As always my trusted Leica S Camera was beside me. In the early hours of the morning, I departed my home in downtown Montreal. I knew there would be some amazing light conditions that would allow me to capture some photographs on my way to my assignment. 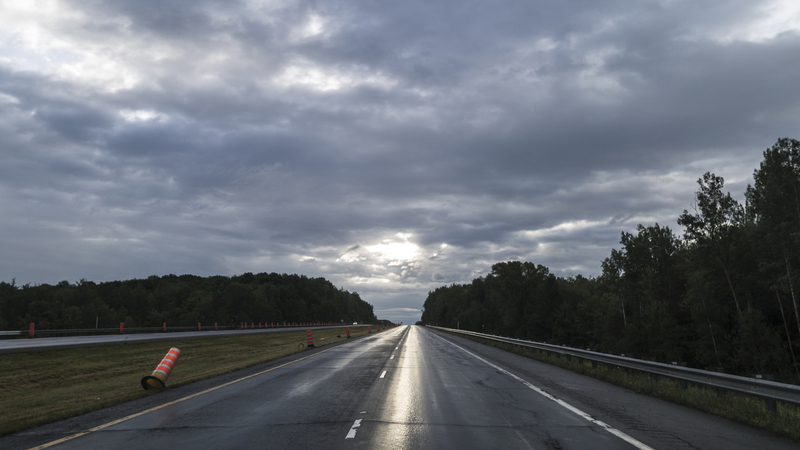 During our daily commutes or on our road trips we often take for granted in our daily lives but a photographer sees life through his viewfinder. He/she is the observer, the witness to the beauty of life’s moments. Through his/her camera he/she tells the story. For me, a photographer is an artist foremost because he/she creates images with the use of his/her camera. In the same way, an artist may use a brush to paint a canvas, a photographer frames, composes, feels the moments before pressing the shutter button. It is for this reason, photography as an art form has blossomed because through our cameras we are able to capture the moment in our vision. It then becomes our story, our moment. We are the witness, observer, the artist wrapped into one. I view the world around me from the perspective of an artist. 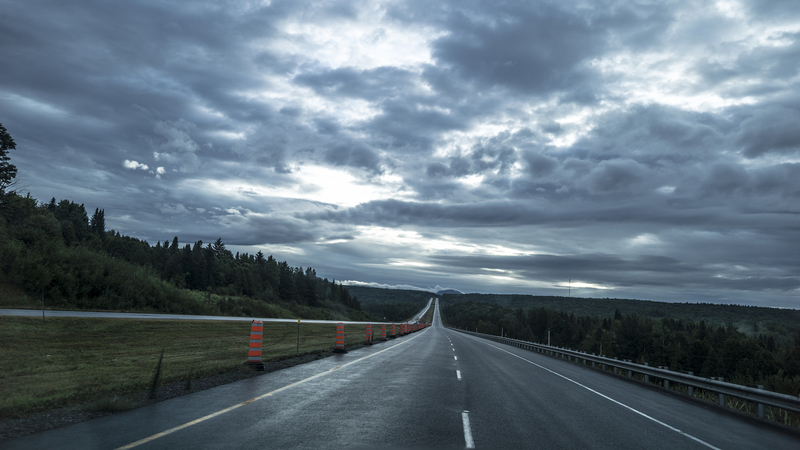 On a simple road trip, beautiful cloud formations could be waiting for us behind the next hill, or some lake may be on the side of the road inviting us to stop to take a photograph. This is why I tell all my photography students and photography workshop participants to take their cameras with them when they leave their homes. Life has a unique way of surprising us with the most beautiful moment when we least expected. It is called serendipity. 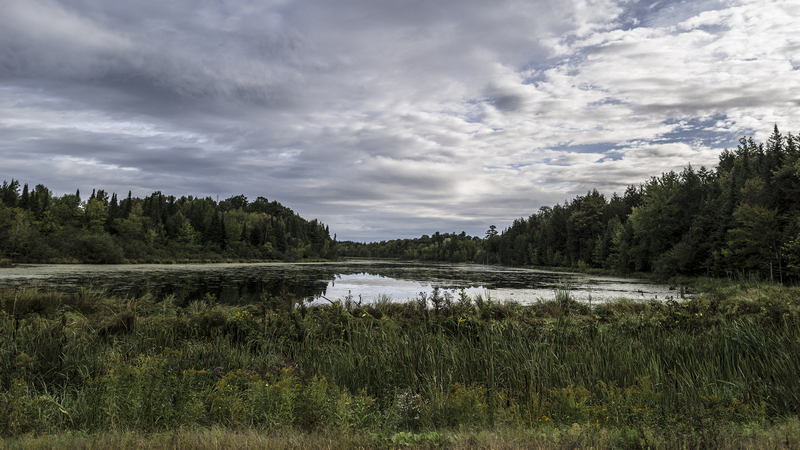 As I left the city limits of Montreal, the scenery quickly changed to offer breath-taking forests and lakes with just about the perfect lighting that photographers pray for each morning. I was happy to glance at the passenger seat beside me where my Leica S Camera with Leica Elmarit-S 30mm f/2.8 ASPH CS Lens was waiting for me. If you are familiar with the concept of golden hour, you probably know that the best times for photographing are in the early hours of the morning or before sunset. At these times the sunrays offer light conditions that permit photographers to use the available light as a softer source of light that enhances images. 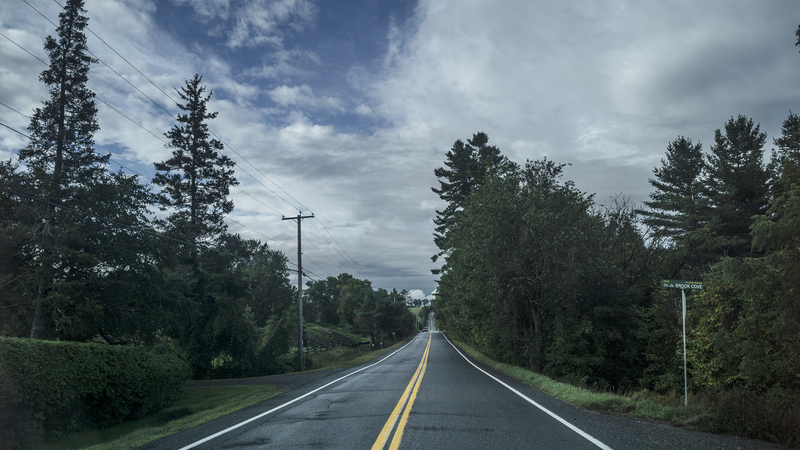 I was very fortunate because it had rained earlier and at 7 am the conditions on the road were near perfect for photography. On a full frame camera like Leica M10 or Leica MP240, the amount of light is less of a concern than for a medium format camera. Medium format sensors are larger requiring more light to be correctly exposed, and high-quality lenses with large front diameters help to let as much light in to capture the moment. For this reason, those who are new to Leica S cameras would benefit from comparatively using full frame camera with a medium format camera to understand the lighting requirements for each camera. Medium format cameras require an enormous amount of light to capture images accurately which means that studio lighting is needed if you are using it professional use indoors. Moreover, medium format cameras are less forgiving with unsteady hands. 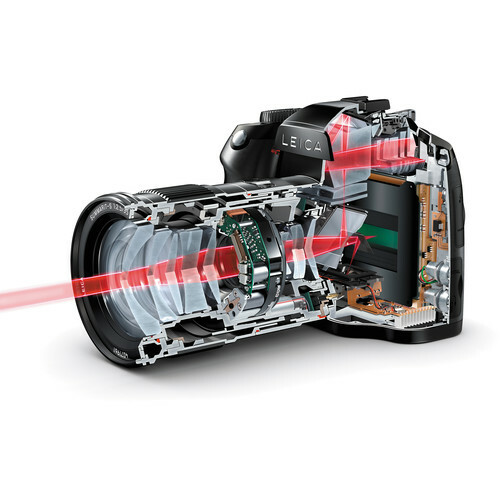 Leica S demands from the photographer more than what a full frame camera demands but in exchange offers more detailed images that can easily be seen in side-by-side comparison with images from full frame cameras. One of the main points to understand about medium format cameras is the importance of focal length because as the sensor size grows larger, the focal length of the lens no longer holds true to the values we are accustomed to using with our full frame cameras. 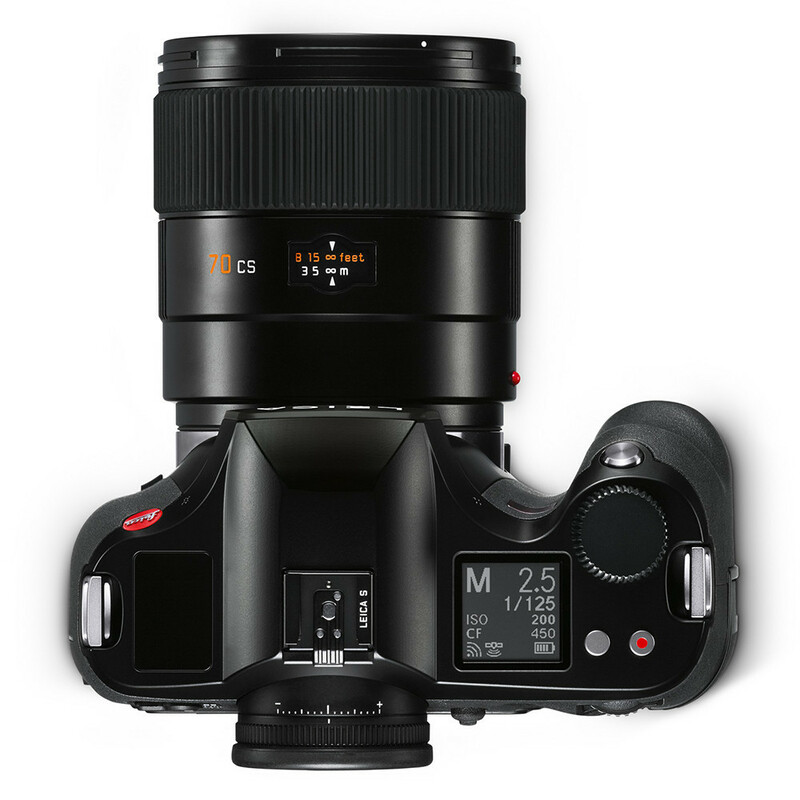 Thus, a medium format lens provides a different angle of view than full frame lens even though they may share the same focal length. For example, my choice of lens was a Leica Elmarit-S 30mm f/2.8 ASPH CS Lens that in full frame terms translates to about 24mm. This can often be confusing to beginners of photography, and in my photography workshops, I sometimes get asked about why a 30mm in medium format camera is not an “actual” 30mm in full frame camera size. The answer is rather long, but a simple answer would be that the larger sensor causes the focal lengths to be different for medium formats. The sensor size not only affects the way the bokeh is formed but also the aperture size will have a different impact on the image rendition. For the sake of simplifying, the images that I have captured with my Leica Elmarit-S 30mm f/2.8 ASPH CS Lens are equivalent to 24mm in full frame size photographs. So, if I were to use a Leica M10 camera to capture the same image, then I would opt to use 24mm lens like a Leica Summilux-M 24mm f/1.4 lens. With medium format cameras, one of the shortcomings is that no matter how big the LCD screen is on the back of the camera it is almost impossible to tell how detailed or accurate your image is. This is because the amount of detail contained in a single frame is tremendous to be conveyed via a small LCD screen. I mention this because I have from time to time shot photographs that I thought were free of handshake or blur only to find out that the images were less than ideal when I viewed them on my computer. So, as a recommendation for those who are new to Leica S cameras and lenses, shoot more than one frame to ensure that you have captured your photograph correctly even if you are using a tripod. Naturally, an additional recommendation would be to use a tripod to capture images when the lighting conditions are not most favorable. In long exposure photography, for example, I use a tripod and a remote shutter release to capture photographs. As you move from a full frame camera to a medium format camera use of a tripod often becomes an indispensable prerequisite to photography projects. 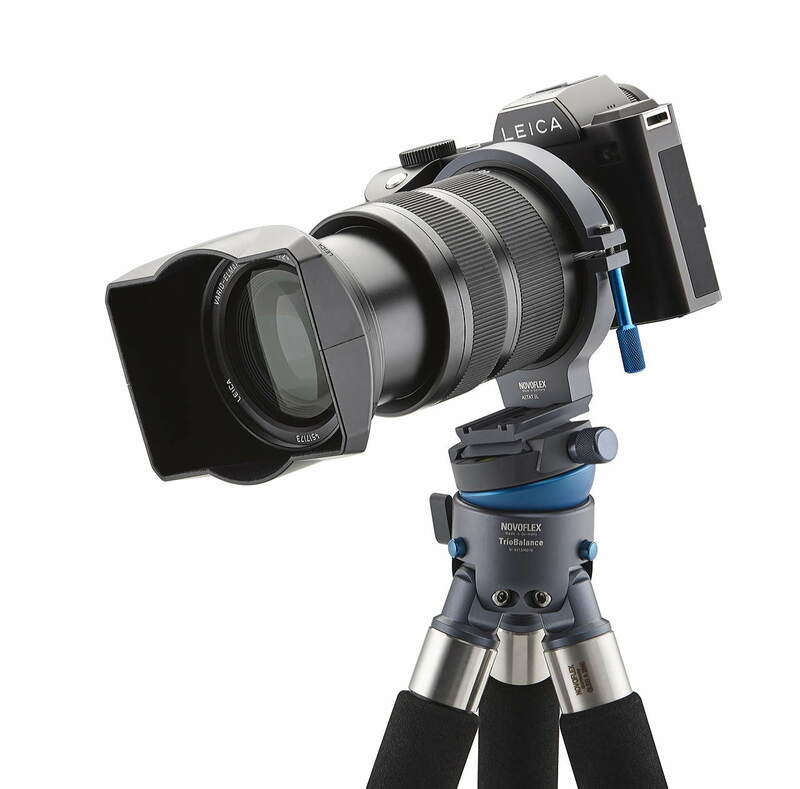 In the event you need to purchase a tripod for Leica S camera it would be prudent to consider the weight of the camera in your purchasing decision. I have seen lightweight tripods causing shake when the shutter is pressed because of micro trembles in tripods. After a fair amount of experience, like all cameras, one gets accustomed to the quirks and tendencies of medium format camera’s mechanics. For example, I know that the data transfer will take longer than most DSLR cameras because the image is not 24MP but 37.5MP for Leica S (Typ 007) medium format DSLR camera. In another word, I have to allow sufficient time for the camera to be able to transfer the information before continuing to shoot. I call this “breathing time” for the camera, and it is one important detail to keep in mind when photographing moving subjects in particular. In my photography workshops, I demonstrate how this “breathing” time must be used correctly to be able to continue photographing with Leica cameras whether it is a Leica M or an S type. This is very important to master because when the opportunity presents itself, a photographer must be ready to capture the decisive moment. As you probably know, Leica M cameras also suffer from a shortage of data transfer capabilities (buffer), which results in not being able to capture images while the information is being transferred. 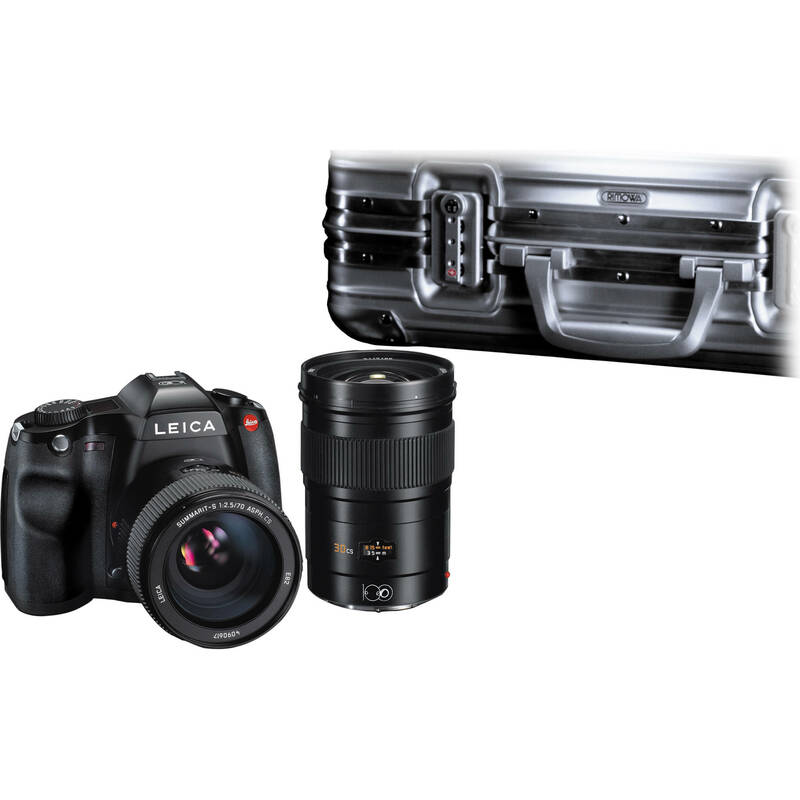 It is up to the user to master the right skill set to be able to use Leica cameras to their utmost capabilities. On Leica S cameras these issues are also there, but with the due time. For example, certain compensations are needed to be made to allow just about the right amount of time for the Leica S camera to be able to continue photographing if images are captured in burst mode. I mention this because while Leica rangefinder cameras do a magical thing of slowing the photographer to better compose his or her photographs; professionals do not always have that luxury. Especially, when the events are unfolding as in war photography or sports, we need to be able to rely on our equipment to be able to capture images at the decisive moment. I must tell you that while Leica S (Typ 007) Medium Format DSLR Camera is much larger and heavier than a Leica M camera, it fits perfectly in my hand. 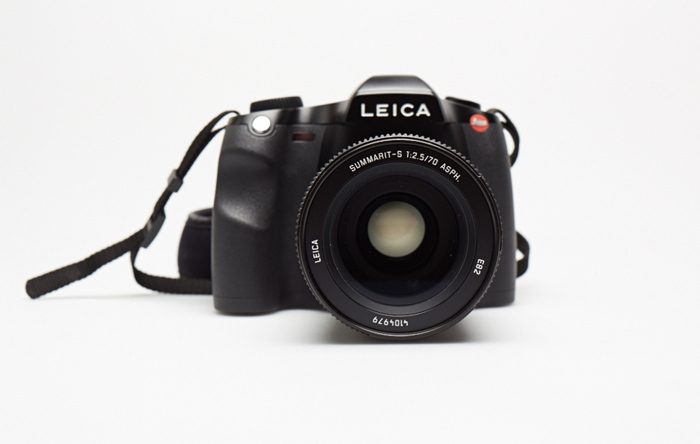 I tend to think of Leica S camera as a (full frame comparable) DSLR sized medium format camera. On photographs I shot, I invite you to see how the colors are rendered and the gradation of tones, which often can be lost when the information is not sufficient as in most full frame cameras. Also in the photographs, the depth and details are further enhanced because the large pixel size and format of the sensor of Leica S (Typ 007) Medium Format DSLR Camera is able to accurately reflect these subtle details. I use medium format cameras in landscape photography because often there are details that we often miss out with our eyesight. I remember numerous occasions when I had viewed images at my studio only to be baffled at the details that I had not even noticed when I was taking the photographs. In the photograph of the lake, for example, the blades of grass and marsh take on a character that translates to a “moving” image. What I mean by “moving” images is that they inspire or call forth emotions from the viewer. 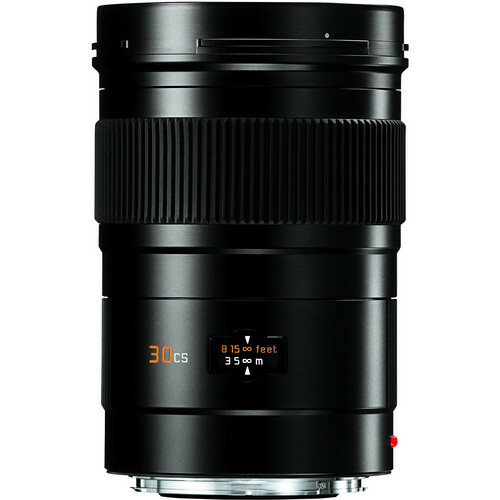 Leica Elmarit-S 30mm f/2.8 ASPH CS Lens is particularly apt to resolve for the finest subtleties of the landscape. Capturing sharp images that make the viewer want to spend more time examining the details of a photograph is what medium format photography aims to achieve through its rendition of finer details. This is the reason why photographs of Ansel Adams were so captivating. He used a large format camera that could take in all the details and offer them to the viewer through a rendition that could not be duplicated with a full frame camera. Today, even though the number of pixels on full frame cameras keep climbing, they are not valid substitutes for large or medium format cameras. This is why artists like Gregory Crewdson spend the time and the effort to capture images with their large format cameras. In another word, medium format and large format cameras are there to provide the artist with the right tools to tell the most detailed story. In the end, the aim and the purpose of your photography must be clear. This is the advice I will give you if you are considering to take the leap and purchase a Leica S (Typ 007) Medium Format DSLR Camera. 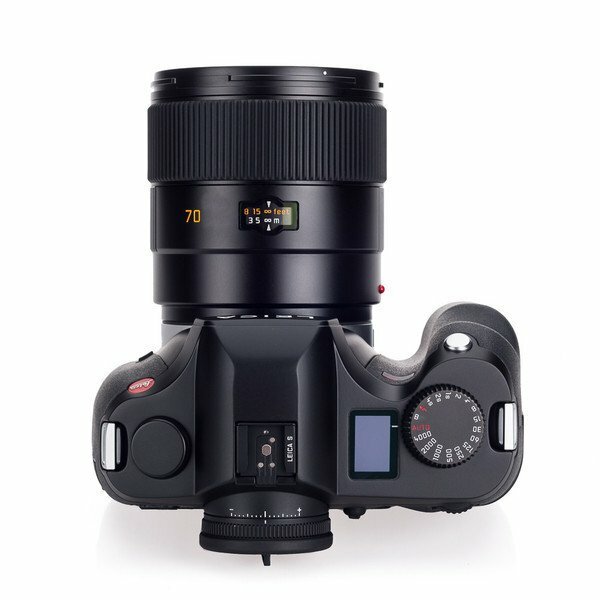 Obviously, the cost of owning a medium format camera like the Leica S (Typ 007) Medium Format DSLR Camera and Leica lenses will be high because they are more expensive to manufacture but deliver results far beyond the capabilities of full frame cameras. A good example would be, if you were aiming to capture images that require only in black and white (monochrome photography), medium format cameras have the capacity to display a wider tonal range than full frame cameras. Leica M Monochrom (Typ 246) Digital Rangefinder Camera is a monochrome camera that only reads the light in black and white tonal ranges which surpass the capabilities of other full frame cameras even though it is a full frame camera. Medium format cameras are exceptional in reflecting these tonal ranges as Leica M Monochrom camera does and offer very detailed images. If you are only interested in street photography, for example, Leica Elmarit-S 30mm f/2.8 ASPH CS Lens is a great choice as well. It may not be choice of most street photographers but the details you can attain with the skin tones, subtleties will be far more captivating than full frame cameras. This is the reason, wide angle lenses like Leica Elmarit-S 30mm f/2.8 ASPH CS Lens are so versatile because they can be used for landscape, architecture, and portraits as well as street photography. I wanted to share some of the crucial differences between medium format and full frame cameras. As a photographer, it is essential to be familiar with the way images are rendered with different format cameras. This is particularly important from a Leica camera users point of view because different Leica cameras offer different qualities in image reproduction. 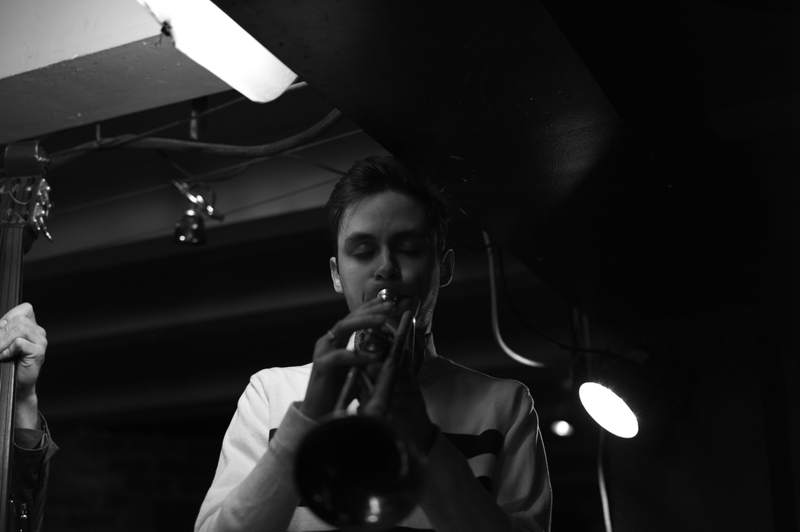 For example, Leica M9 camera is radically different in the way it renders images compared to Leica M10 camera. Similarly, Leica M10 will be very different from Leica S camera because of the sensor size difference and lens choices. If your choice is a medium format or a full frame it is paramount to know what your camera’s capabilities and limitations are to achieve the best results in your photography. 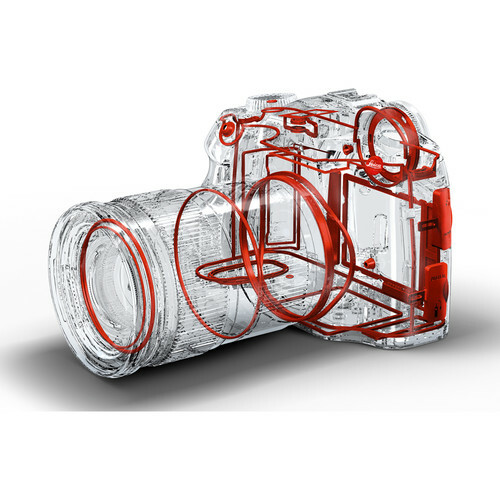 Indeed, Leica cameras feature some of the best innovations and features of any cameras. For me, it is the experience of being one with a very refined photography instrument that expands my artistic expression in photography. In these photographs, Canadian wilderness creates a unique visual experience that can only be told through very detailed photographs. 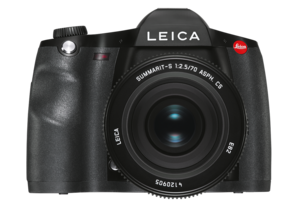 Leica S (Typ 007) Medium Format Camera is capable of delivering minute details through the resolving power of Leica Elmarit-S 30mm f/2.8 ASPH CS Lens. It is often difficult to quantify or explain why a photograph looks different or why it is captivating but our senses recall something sublime and beautiful when a photograph can awaken our senses. In the end, photography is an art for the senses. Photographs transport us to places, offer experiences, evoke emotions through their composition. If we have at our disposal cameras that can capture more detail, render colors accurately then we are a step closer to achieving our aim as photographers. Leica S camera does exactly that give us a very refined instrument with which we can create emotion-evoking images. I believe that as photographers, we must be ready to capture the decisive moment when opportunities present themselves. 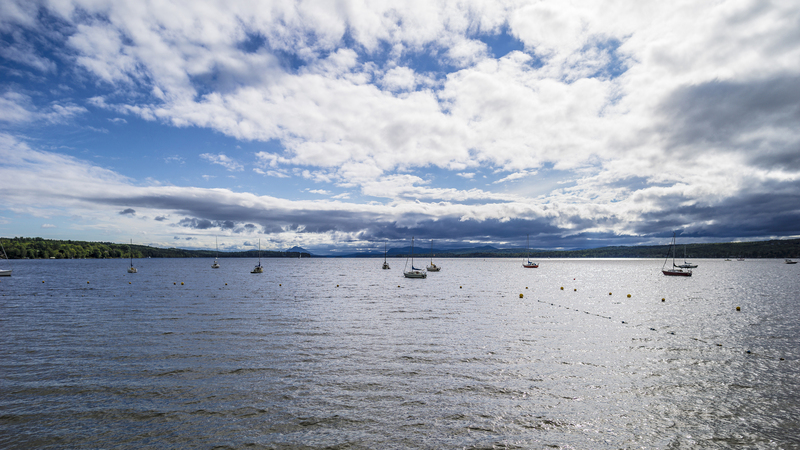 Please notice how Leica S camera with its large sensor size can capture the depth of the cloud formations as well as the interplay of light and shadow. This is not HDR or high contrast image but something only an attribute that comes from using a Leica S medium format camera. These photographs have a “feel” that is surreal rather than “realistic” because the lens delivers more detail than we are accustomed to noticing or recognizing at any given moment. 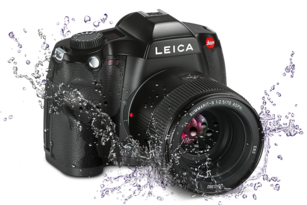 Leica S camera features CMOS sensor with much-improved performance than the previous version which featured CCD type sensor. 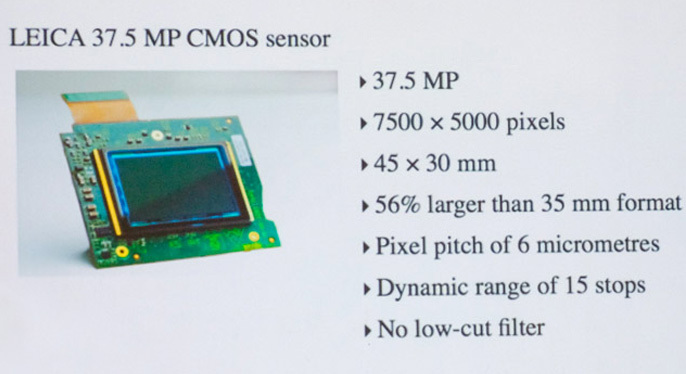 Although, I still prefer the image qualities of a CCD type sensors due to the color rendition characteristics that are unique to CCD sensors, the new CMOS sensor offers a better low light performance. This is a trade-off that must be taken into consideration if you are looking into purchasing a Leica S medium format camera. If you are into monochrome photography, you can convert your photographs into black and white in your Adobe Lightroom program or similar software. The results would be equally impressive because the gradation of tonalities will be evident in your photographs. For example, the gradations of grey color give a multi-dimensionality to photographs that cannot be matched with full frame cameras with perhaps the exception of Leica M Monochrom (Typ 246) which is an impressive camera that only captures images in black and white. Buying it for your photography use is perhaps the most prudent of all investments because it will help you to see your photographs in a whole new light. Leica S medium format cameras open doorways to new possibilities for expanding your vision of photography and style. 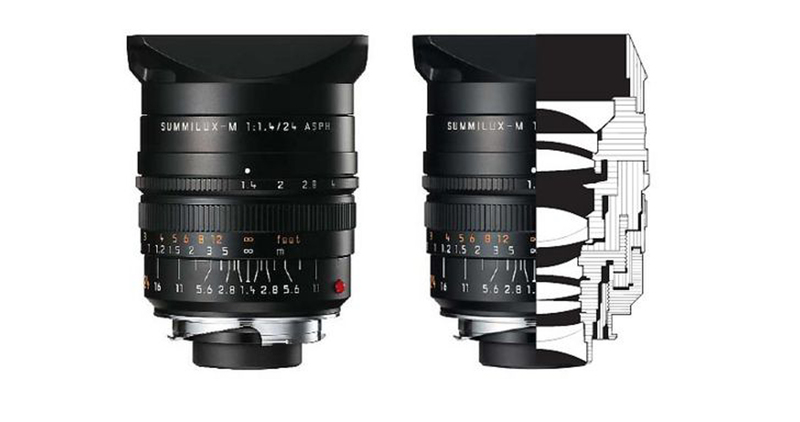 Here are my favorite links for Leica S medium format lenses. 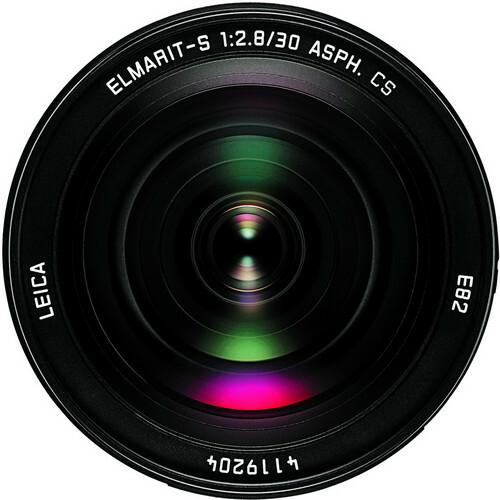 You can find great prices below for Leica S (Typ 007) Medium Format DSLR Camera and Leica Elmarit-S 30mm f/2.8 ASPH CS Lens. By clicking them you are also helping Leica Review to remain as an independent review site. 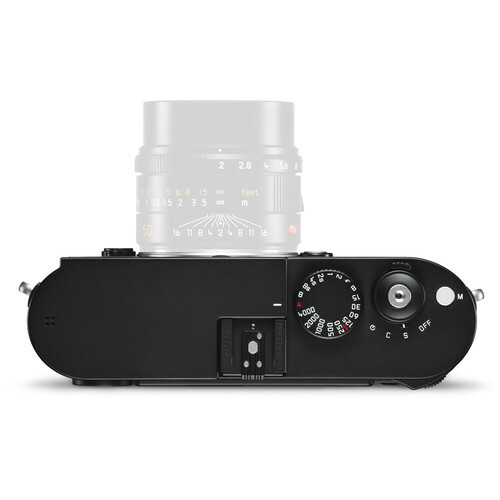 HELP US TO KEEP LEICA REVIEW INDEPENDENT. PLEASE MAKE A SMALL DONATION TO BRING YOU MORE ARTICLES.